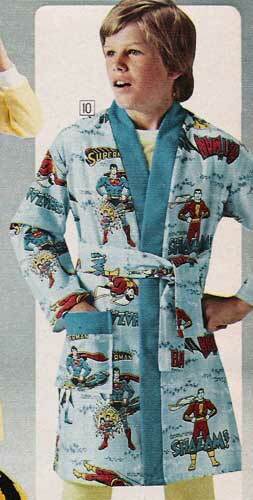 I've never seen this housecoat before but the superhero pattern is so cool. If I found this today, I would wear it and trust me, that is a really disturbing mental image. One of the things I love about this is the presence of Shazam! on a lot of seventies merch, he doesn't get that respect today. Next week I have even more Superhero goodness plus the best catalog pics I have ever seen, they're so good I want to post them now. 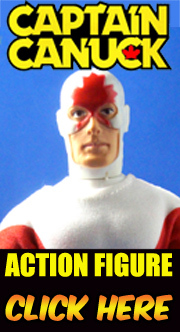 For more 70's nonsense check out the Megomuseum Blog, where today's feature is a rare Superman toy. Hello you Fine American Foxes! What am I doing to my son?